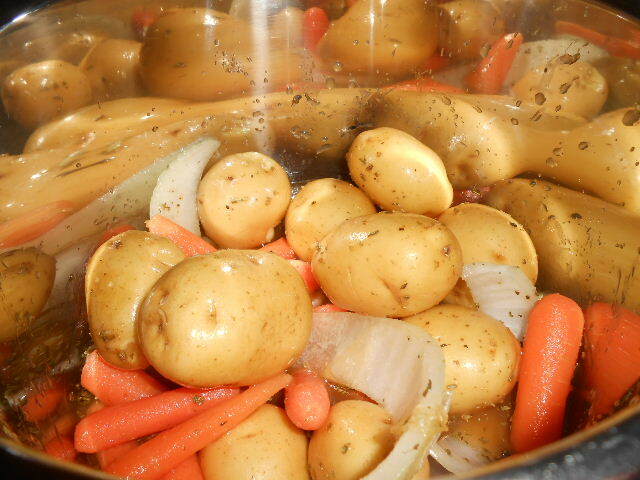 Potatoes are the easiest thing to cook in your Instant Pot. You pretty much wash them and throw them in the pot. They come out tender and full of flavor. They’ve fast become my favorite Instant Pot dish. I’m a fan of potatoes and baby carrots, but each are kind of a pain to cook. Baby carrots can take forever, and then, they shrivel up because they’ve cooked too long. I don’t like chewy baby carrots! 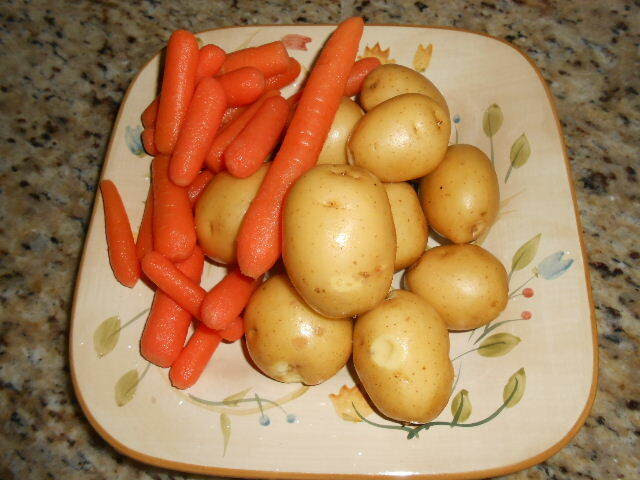 I love potatoes and baby carrots, don’t you? Potatoes are standing intensive for me. I can’t stand for very long because of the arthritis in my feet. Cooking potatoes means getting up multiple times and poking them with a fork to see if they’re done. This is why I don’t cook them very often. The Instant Pot makes it so much easier on me. Wash and toss in the pot. That’s pretty much it. If you set the timer right, they’ll be just soft enough and flavorful when it’s time to take the lid off. 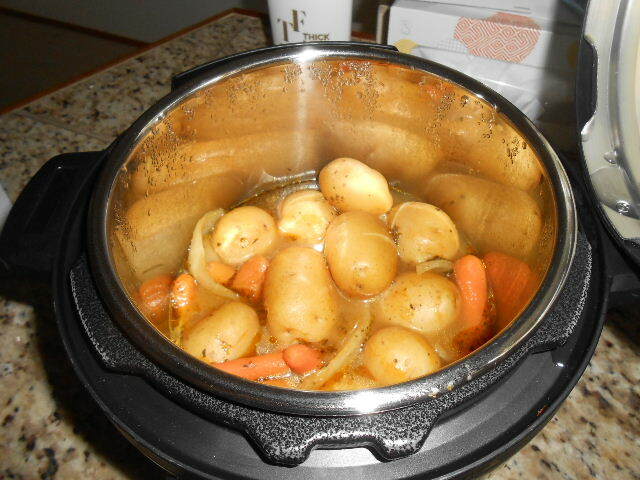 This recipe for potatoes and baby carrots is a great for people getting the hang of their Instant Pot. It can easily be adapted and modified as you get comfortable cooking with your pot. There isn’t much to it, but the results is delicious. Note: This recipe is suitable for the Instant Pot Duo Mini. Just double it for a larger pot. Pour the olive oil and a little water into your pot and mix around to coat the bottom. Add the potatoes (make sure to poke fork holes in whole potatoes) and carrots. Sprinkle in the Italian seasonings. Swish it all around to get the seasonings on the vegetables. Seal lid. Press pressure cook and cook for 10 minutes. Let it sit for 10 minutes for natural release, then you can release any excess steam. Don’t they look tasty? This will warm up the vegans and non-vegans on a chilly day. 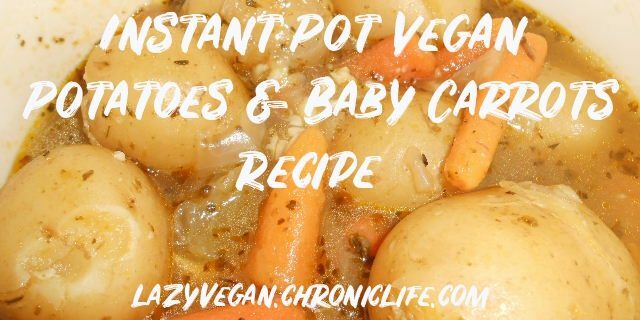 Once you try this mouth-watering dish, check out these amazing vegan Instant Pot cookbooks for more meal ideas.